With a reputation as being one of Austria’s most family-friendly resorts, Almenwelt Lofer boasts a fantastic atmosphere for travellers who are looking for a relaxing break in the picturesque Stone Mountains of the Pinzgau region in Salzburg. Set just 20 minutes away from Salzburg’s thriving centre, this ski area offers a wide variety of runs suited to all kinds of abilities. With cheap prices and plenty of things to do, it’s a great destination for both beginners and experts. Thanks to Lofer’s location, visitors can look forward to plenty of snow from December to April every year. At an altitude of 640m, tourists can enjoy outstanding views across the Bavaria region while taking on the expertly-maintained 30km of piste throughout the resort. Natural snow can also be augmented on many runs, meaning poor conditions will not affect the full resort during dry spells. With runs ranging from 640m to 1,790m in altitude, there are options here for skiers regardless of ability. 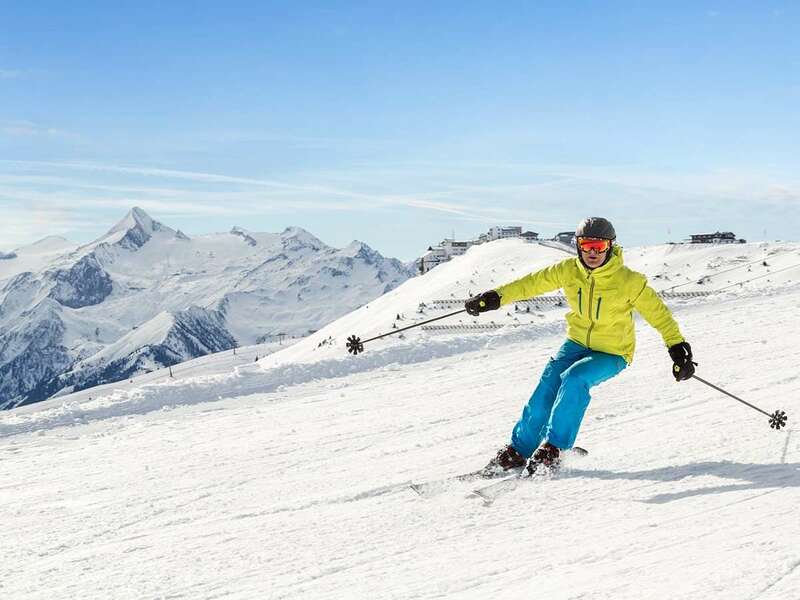 The 51km of cross country pistes and regular snowboarding events also provide extra options for visitors who want to try something a little different. Freeskiers will feel at home in the Snowpark too, where two slopes have been introduced for visitors looking for some off-piste fun. A new Magic Carpet conveyor belt will help to introduce young children to the delights of skiing, while a 4km long hiking trail is onsite for those who want to explore the gorgeous surroundings. Many ski schools are also based in the resort, so those new to the activity can develop their skills with help from the experts. Lofer boasts a peaceful, welcoming atmosphere that is perfect for skiers and snowboarders wanting to escape the hustle and bustle of larger resorts. The Kuhbar offers a fantastic place to relax after a day on the slopes and overlooks the magical Stone Mountains. Karussel is another great option, where tourists can take advantage of a lively atmosphere and mingle with other visitors. Salzburg is a short journey away, too, making it possible to incorporate a fun day in the city during your break. Snow kiting is also available on-site, giving travellers an excellent opportunity to try one of the fastest-growing winter sports in the world. Salzburg is the closest airport to Almenwelt Lofer, but both Innsbruck (1 hour and 40 minutes away) and Munich (2 hours, 10 minutes) can be easily reached . Lofer is about 40 mins from Salzburg, with good bus connection to other resorts. The main gondola from the village takes you up by 2 stages to a wide plateau. From here are the nursery slopes, and several lifts to a wide variety of blue and red runs. Everything comes back to this main area so it is great if you are a family, or a mixed ability group. Excellent ski schools operate at the top, and for beginners there are 2 slopes operating either side of a 'magic carpet' lift. Plenty of mountain restaurants and sunny terraces to take in the views, esp if you are a non skier, or just want an easy day. The ski hire shop by the main gondola also offers ski lockers for hire so you can store everything there. They are all extremely helpful and if something is not right, they will happily exchange. No big tour operators come to this resort so there is a nice mix of different nationalities. Accommodation varies from self catering, bed and breakfast to good hotels. It is easy to walk around the village, plenty of restaurants, bars..and cake shops. There are 3 supermarkets and a good deli, as well as clothing, toyshops and a few others. Off the slopes you can get the bus to Salzburg, Bad Reichenhall, Zell am See, St Johann and Kitzbuhel. The buses go from outside the tourist information, and in there they are very helpful too, with other suggestions of places to visit/things to do. You can also rent cross country skis, plenty of tracks, and also some lovely walks along by the river and along the valley. As it is a resort that a lot of people drive through in the way to other resorts, it is a bit of a hidden gem, uncrowded - unspoilt.